November is here, the cold weather season is upon us. In fact many of us are already dealing with snow and freezing temperatures. This is the season that many people love. I mean who doesn't long for the brisk chill of a cool November day? Cold weather, cuddling by the fire, hot chocolate.. That said- winter has a way of sneaking up on us. As a result, it's imparitive to take quick action to ensure that your home is a warm, comfortable living space during what could be a very cold winter. Neglecting your hvac system can lead to disastrous results. If you aren't careful your living room could turn into the Arctic Circle. The cold weather, as much as we love it, belongs outside. You look forward to the wondrous benefits of winter: hot cocoa, crackling fire in the fireplace and family gatherings. Well, in order to enjoy these traditional winter activities you should make sure that your heating system is serviced and running properly. If you have a older, outdated heating system whether it has performed wonderfully or questionably, have it inspected soon. Even if it worked without a problem during past winters, there may be hard-to-detect problems, the result of wear and tear from years and years of use.. If you're hesitant to spend money on a heating system evaluation, consider it an investment in your peace of mind. Having a factory-trained HVAC technician perform a system evaluation can lead to more energy efficiency and lower heating bills over the next few years. Maintaining your heating system will not only bring a financial savings on your heating bills, but also help you avoid future repairs that may have been prevented if caught when they were minor issues. It's important to schedule regular servicing to guarantee uninterrupted cold-weather operation. In addition to having a seasonal check-up performed by a certified HVAC technician, there are additional steps homeowners can take to increase the efficiency of their heating systems. Change the air filter's at the beginning of every heating season and check it every few weeks tthrough the winter. Also, inspect the heat exchanger for holes or cracks and make certain there are no carbon monoxide leaks. Keep your eyes open for red flags. If your house isn't being heated evenly you should figure out why, and if you are also having humidity problems, your system could be malfunctioning. If your furnace appears to be on it's last leg it may be smarter to invest in a energy efficient model than to be dumping money into a sinking ship. Remember, it's an investment. So do your research. In the event that you need to purchase a new furnace, take a deep breath and contact your local HVAC company. 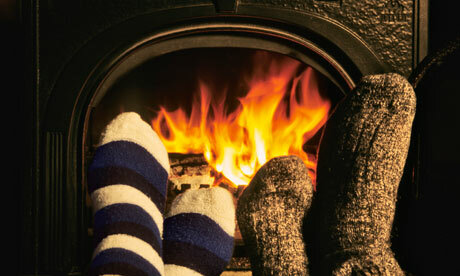 They can solve your heating problems well in advance of winter's cold weather. This is why it is important to take preventive measures as opposed to waiting until the last possible moment to take action, or worse, putting it off completely. Remember, don't rely solely on your judgment to diagnose heating problems call your local heating professional. With his expert service and your own regular maintenance checks you and your family will enjoy a safe, warm home all winter long! IF you found out something wrong on your furnace better to make an early preparation for it so why don't you try to look for plumbing Sonoma County? Just try. A well maintained furnace play a significant role in keeping the home warm and comfortable. And it is a good idea to opt for repair, replacement, maintenance and furnace installation services. Found your blog. It is full of really good information. Thank you for sharing. If you ever need service on trane air conditioner repair please visit us at rheemteamcomfort.com. We would love it if you would have a look at some of our blogs and let us know your thoughts.